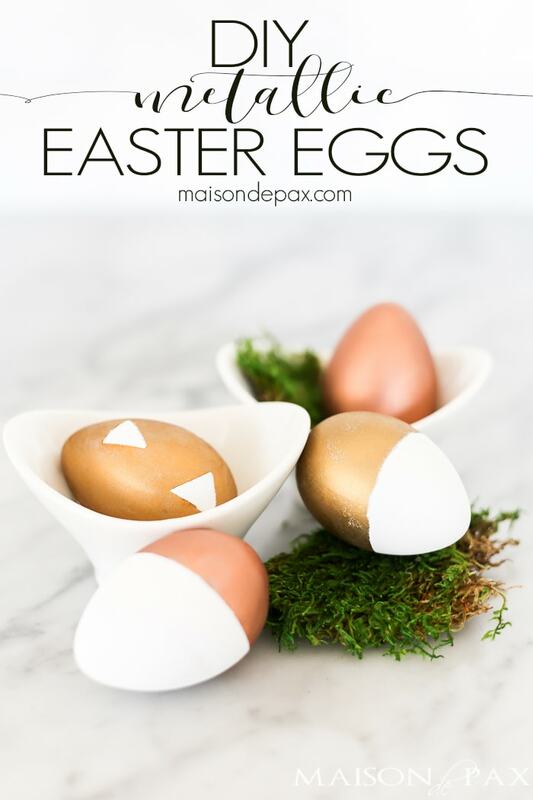 Looking for a fun, easy Easter craft? 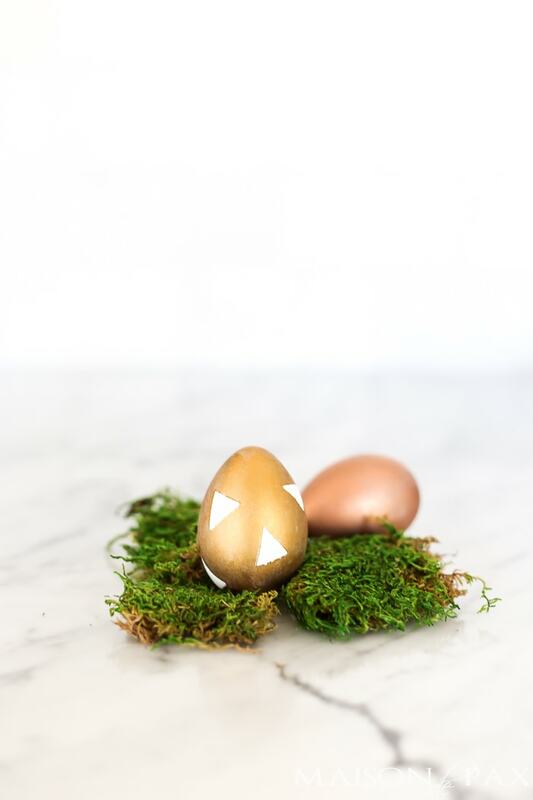 I’m so excited to join my friend Annie from Zevy Joy today to share these DIY metallic easter eggs alongside tons of other fun Easter craft ideas! And the proof is in the pudding, my friends. 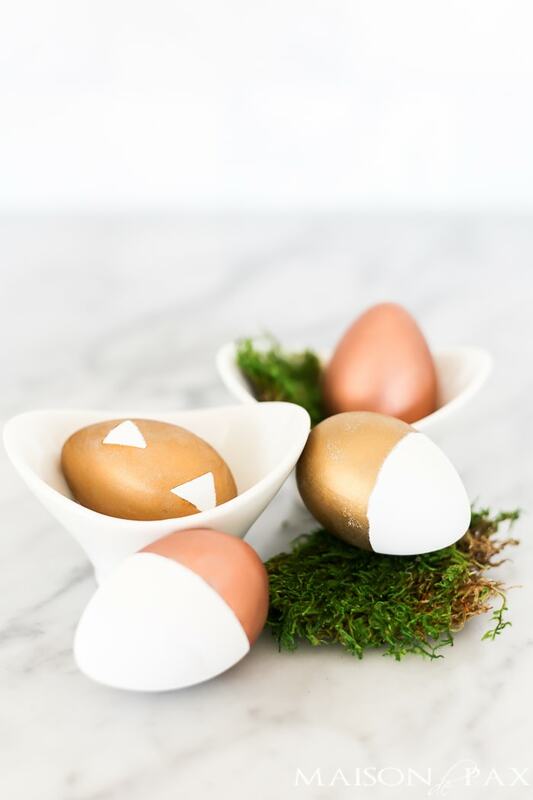 These little eggs were so so easy to make, and my kids enjoyed helping me design the patterns. It was so easy! And just a few make such a statement. 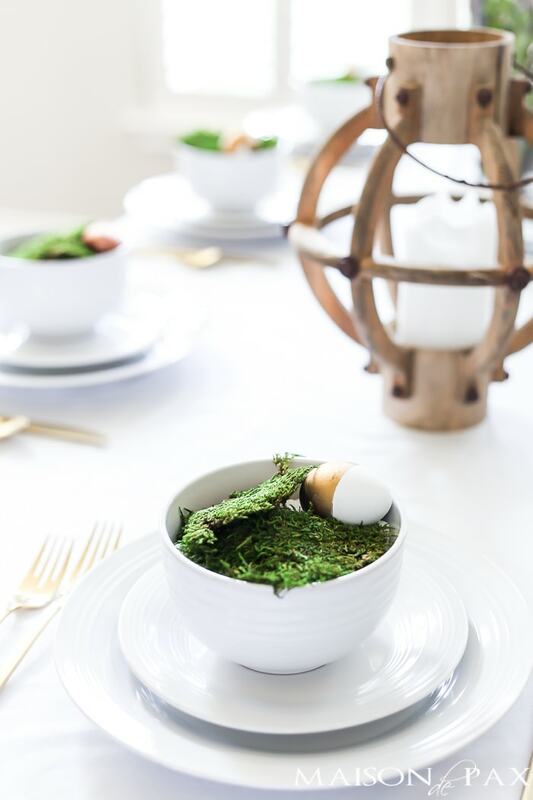 If you saw my Easter tablescape (and you’ll definitely want to check out the amazing and affordable centerpiece!) 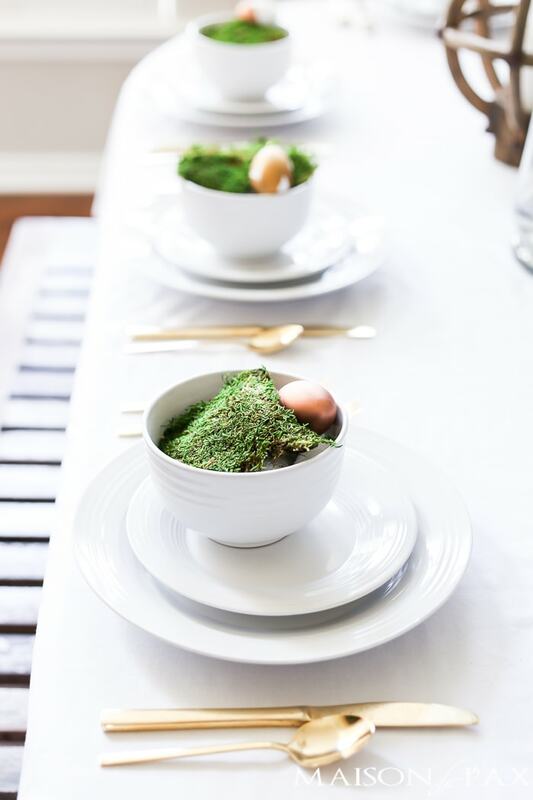 last week, you know I created these sweet little bowls with dried sheet moss… I think the metallic eggs make for a stunning complement to the natural green moss. You could use them to fill an apothecary jar, a teacup, or a vase. And a mini vignette works, too! 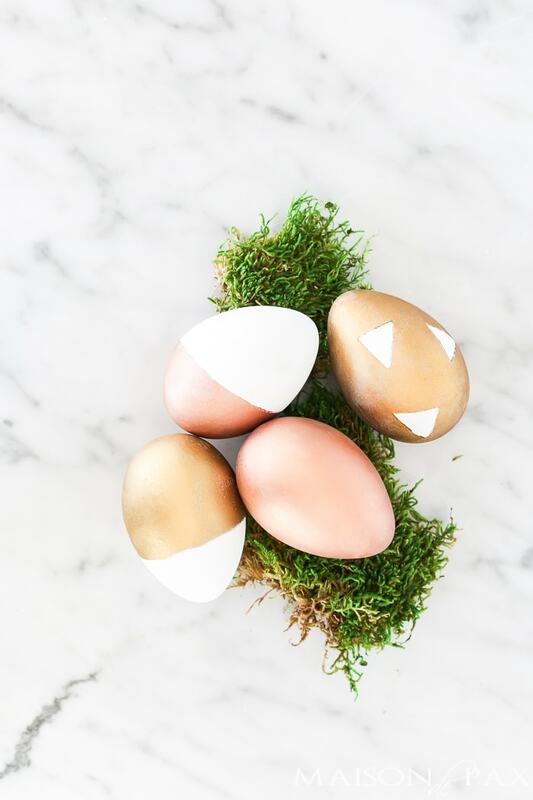 Now be sure to visit the other fun Easter crafts being shared today by these creative, talented women. 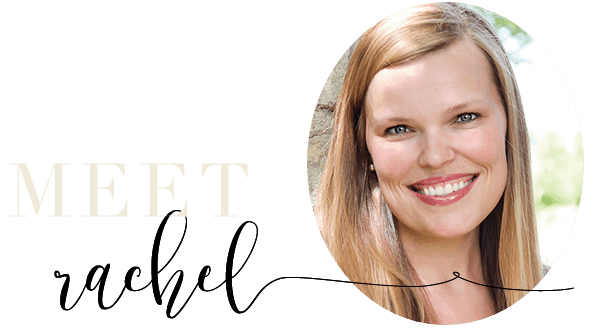 Rachel these are beautiful, I love anything metallic!! So pretty set amongst your amazing dining room too. Thank you so much for joining sweet friend!! 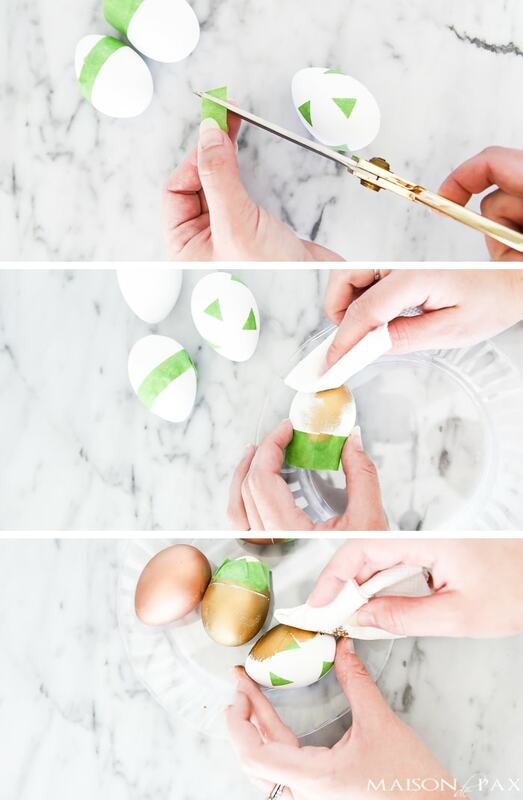 Rub ‘n Buff eggs! This is so brilliant, and they turned out so cute! Love. I’m loving the copper, girl! What a fantastic idea. 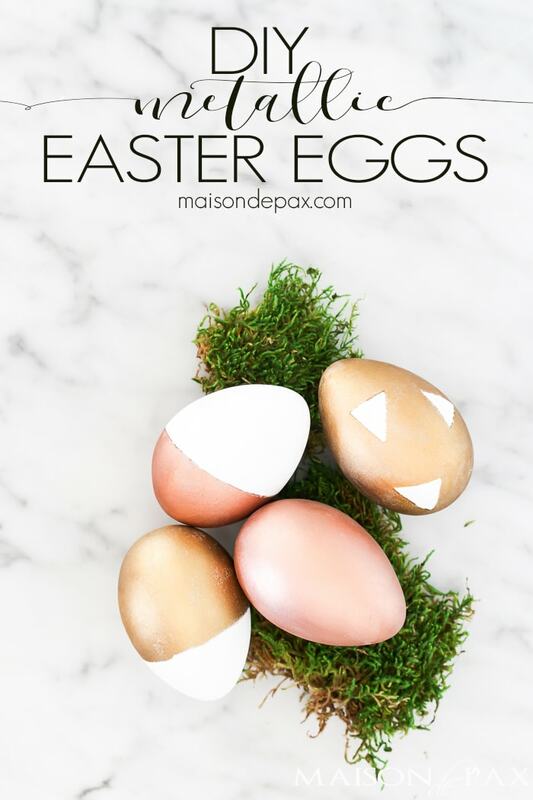 I’ve been looking for some easy Easter project and you came through for me Rachel. Thank you. 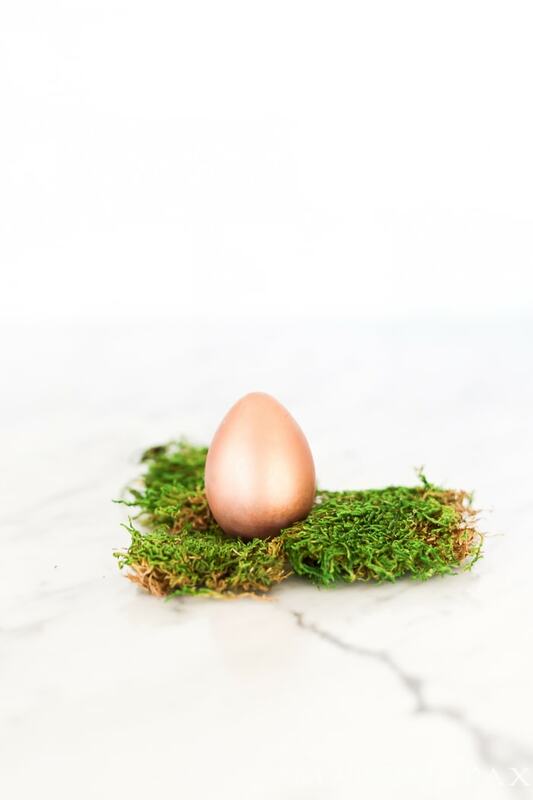 Would like to find the sweet little white bowls you used along with moss to show off the colored eggs.